It's been a long time since I wore an Illamasqua nail polish. I'm not sure why because they're one of my favorite higher-end varnishes. 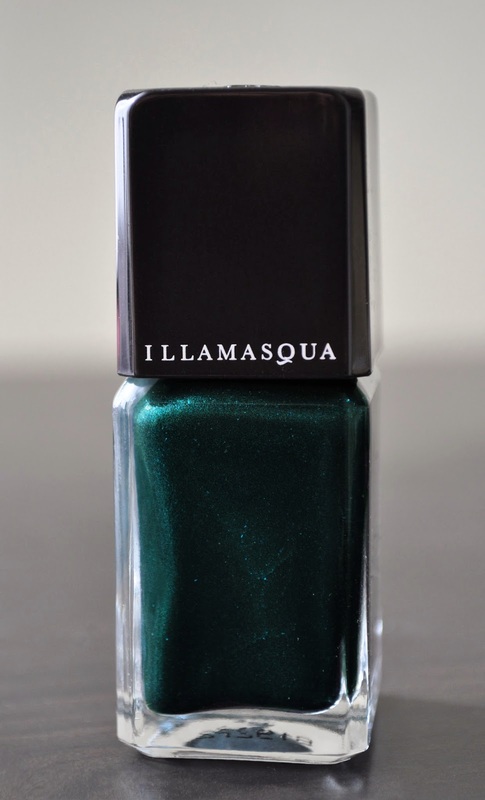 Aptly named, Illamasqua's Viridian is a strikingly beautiful, bluish-green with micro teal and lime green shimmers. A two coater nail varnish that is a definite crowd-pleaser and guarantees lots of compliments! 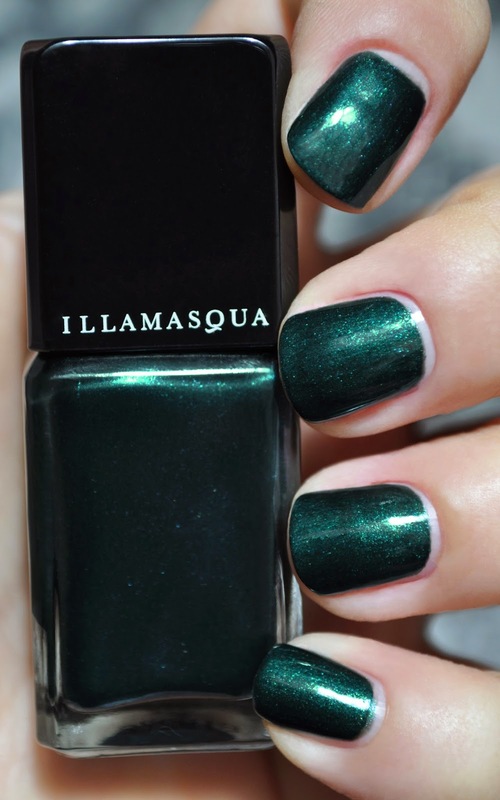 Just like my other Illamasqua polishes, Viridian wears perfectly for up to six days. What are some of your favorite bluish-green polishes? Absolutely a beautiful shade, something I'd totally want to wear on both my toes and fingers! Viridian is even prettier in-person, you'd love it!